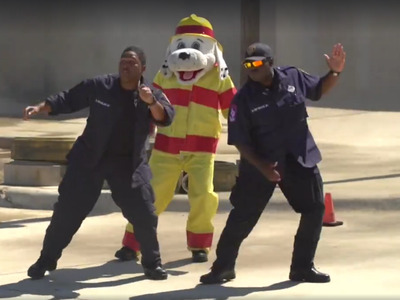 Facebook/San Antonio Fire DepartmentFirefighters in San Antonio, Texas, doing the Running Man Challenge. If you’ve been anywhere near a computer in the past few months, you’ve probably heard of the Running Man Challenge. If you’ve seen videos of people staring down the camera while their feet wildly shuffle along to a 90s R&B song, you’ve seen the Running Man Challenge. You’ve probably wondered what the hell is going on. First, let’s talk history. The Running Man Challenge was created by New Jersey high school students Kevin Vincent and Jeremiah Hall. Around five months ago, the boys started posting Instagram videos of themselves dancing to the song “My Boo,” a 1995 R&B track by Ghost Town DJs. In each video, they perform a dance move that they call the running man, but seems to have no apparent relation to the 1980s dance move of the same name. The craze didn’t go viral until it got into the hands of two University or Maryland basketball players named Jared Nickens and Jaylen Brantley. Their videos followed the exact same format as Vincent’s and Hall’s — but theirs quickly amassed millions of views. Later, Ellen DeGeneres invited all four young men to her show for a live performance of the dance craze. So… how did this become so popular? That question’s a little harder to answer. It might be because “My Boo,” though cheesy, is unbelievably catchy (seriously, just try and get it out of your head) — the track peaked at number 31 on the Billboard Hot 100 the year it was released. More than 20 years later, thanks to the Running Man Challenge, it hit number 29. There’s also something universally appealing about watching people dance with abandon, even — or perhaps especially — if they can’t really dance. In fact, it seems the secret to a successful Running Man Challenge video is just to be as goofy as humanly possible. Plus, it’s not really a dance you can screw up, and as such is open to dancers of all skill levels. 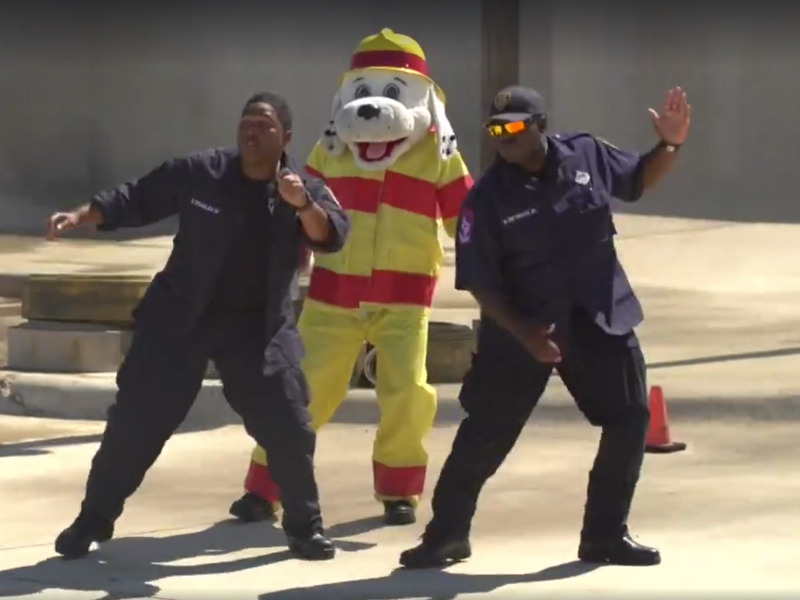 For a perfect example of the challenge, we look to the fire department of San Antonio, Texas. Last week, they released a Running Man Challenge video for the ages, complete with aerial footage, an actual burning car in the background, and, inexplicably, a person dressed as a shamrock. In less than 24 hours, it was viewed almost 100,000 times, despite the fact that the challenge is already ageing out of its viral heyday. Future Running Man Challengers: consider the bar raised. Everyone on the internet is doing the Running Man.